The gig poster is an intriguing subgenre in the world of design, in that the subject matter of the design or illustration often has little correlation with the event or performer the poster is advertising. And as one of my biggest clients is a company who sells classic gig posters, I was looking forward to learning about the history and development. But this documentary had very little of that. There is no storyline. And apart from a brief segment where designers shared their worst mistakes, there was no controversy or tension. It’s enjoyable and you’re presented with an overview of today’s scene, but there’s not a lot of substance. You’ll see overly-long performance segments and you’ll see quite a few awkward designers, but you’ll also see a myriad of amazing poster designs. I just wish we would have heard the artists speak more about their thought process and less about the way screen printing works. I was also left wondering if or how these artists are making a living off of this because in my experience, bands do not have money to throw around, especially not to fairly compensate anyone for the amount of time that goes into the design and screen printing of a poster. It was very interesting to see how the worlds of art and music related, and to hear band members talk about how important these posters are to them as they create a sense of legitimacy to what they’re doing. So while this is not the most compelling or informative of documentaries, it is very professionally done and presents tons of eye candy for the designer. 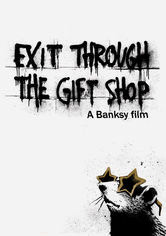 While Banksy is prominently featured in this documentary, he himself will tell you right at the start that this film is not about him. 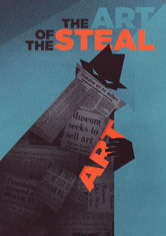 It’s an unlikely story that documents the shift of graffiti from a rogue activity to a legitimized art form (“street art”) that is recognized and coveted by art collectors. But at the same time we follow the story of a fellow who unintentionally stumbles into the world of street art and who, against all odds and expectations, gets involved in the art itself. And in the end you’re left with a quandary—how do you feel about this character? Is he legitimate? Is there value to his art when everything else he’s done has had a sense of buffoonery about it? 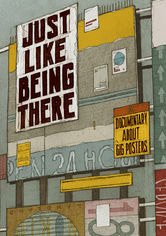 Unlike Just Like Being There, this documentary presents its information while telling a story, developing characters, and making you think. And in doing so it is a huge success. Art meets politics. That’s the plot of this documentary. And it’s is the equivalent of a book you simply cannot put down. I wasn’t terribly familiar with the Barnes Foundation, apart from the fact that a friend of mine works there today. I’ve never been clear on what it was, and now I know why. For today it’s a museum that was never meant to be a museum. And I will tell you no more than that. There is a story here, and it’s well told. Your blood pressure will likely rise as the minutes tick away. It’s a study in human nature involving one of the world’s greatest art collections. Of the five documentaries listed here, this one tops the list. As the title indicates, this documentary is about both a relationship and a chapel. The two are intertwined. The story is told in interview format by “the model,” named Monique Bourgeois. Now elderly, she was hired as a nurse for Matisse when she was a young lady. A true friendship was born that lasted years, even when she became a nun. 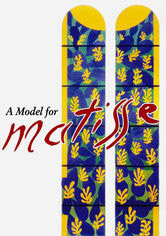 Matisse takes steps to design a chapel for the Dominican sisters in the town of Vence, France, and Monique (now Sister Jacques-Marie) ends up being very involved in the process. Subtitles are used as this is a French documentary. The videography is subpar, as is the lighting, and the font and spacing used for the subtitles are atrocious. But when you have a good story, these things are more easily forgiven. And that’s what we have here. The story is sweet, as is the relationship. And Sister Jacques-Marie is charming in her own age. She’s also admirable in being very careful to not praise herself or give any indication of impropriety between her and Matisse. But even beyond the relationship, we experience the struggle (and unexpected success) of bringing modern art into the church—in this case, the Chapelle du Rosaire de Vence. During my schooling in art and design, I was required to take an art history course, but there was never a design history class. 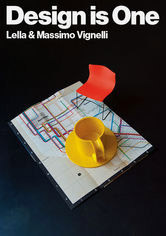 So I found this documentary on Massimo and Lella Vignelli quite fascinating. There is much discussion about pure design from this husband and wife team. I imagine if you’re not a designer, this could drag a bit, but if you are a designer this is a must see. The Vignellis have thick Italian accents to the point that subtitles would have been helpful, so listen closely as this duo talks about grids, fonts, timelessness, and scaleographs. Some of Massimo’s concepts may seem old fashioned and sterile in today’s world of dribbble.com where designs approach illustration status, but they are as true today as they were then. And the rules they used for graphic design are the exact same rules they used when designing clothing or furniture or architecture. For they designed in all of those fields, any many more. Their far-reaching influence is notable given our penchant for niche specialties today. They are worthy of study and I would strongly recommend Design Is One to any designer.